This article will show you exactly how to soundproof a Bathroom(even if you’re not handy). Bathroom Noise can be a problem, especially when it is located next to a place like your Tv room or living area which means you can hear everything from the bathroom and can be embarrassing when you have visitors around. Step 1: Soundproof the Bathroom Door. 1. Sound Dampening Door Seal. Step 2: Soundproof the Bathroom Floor. Soundproofing Hardwood Floors vs. Sound Deadening Tile floors. Step 4: Sound dampening A Bathroom Wall. Step 5: Soundproofing A Toilet Bowl. How Much Does it cost to sound Dampen a Bathroom? Soundproofing Per Square Foot Cost. Sound Dampening A Door Cost. Sound Insulating A Wall Cost. Sound dampening a bathroom door is the first thing should start with, the reason being (1) It can reduce noise in the bathroom by over 55%(2) If you don’t have the full budget to soundproof the whole bathroom starting with the door would be a great sound deadening hack. There are dozens of ways you can go about soundproofing a bathroom door. Unfortunately, some may be quiet expensive; It is in my best interest to find you the best solution without killing your wallet. By far most this is the least expensive method to soundproof a door and yet effective and can easily quiet the noise from your bathroom or toilet. I recommend Soundproof Weather Stripping Door Kit (Click Here to See the Current Price On Amazon) The soundproof weatherstripping is exceptional because it seals the air gaps found in every door that is responsible for the noise. Accurately measure the Height and Width of the Bathroom door frame. Cut the soundproof weather stripping door kit to size using a handsaw. Place the soundproof strip to cover the Gaps in the Bathroom door. This should significantly reduce all the noise from your toilet or bathroom; this is the cheapest way to do it. However, there are more slightly expensive options you can try should you don’t like this one. Soundproofing blankets can do more than you imagined regarding sound insulating the noise. The problem with this approach is it may not be the most Attractive method to soundproof a toilet/bathroom door. 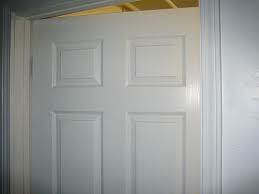 This has made our list because it is also one of the not so expensive methods to sound deaden a bathroom door. I recommend Singer Safety Double Fiber Glass Panel (Click here to see Real user reviews on Amazon). And is pretty straightforward to do. Once you bought the blanket simply cover the door with it. This is effective to sound insulate your door, especially when trying to reduce bathroom noise effectively. Now we are done soundproofing the most important part. We move on to the second essential component. Remember at school we learned about Pareto Analysis? this also applies here to 20% of the things makes up 80% of the noise. Soundproofing a floor is simple, and there are handful methods to go about it, of cause some ways are cheaper than others and others are more effective, but I selected a few that I think will help with sound deadening your floor. Sound insulating a floor can be complicated and overwhelming especially if you are not a handy person. However, that’s not what is the guide is for! I try to find the best simple ways that will have maximum benefit for you. For this method recommend using sound absorbing mats when it comes to your floor because (1) Doesn’t Soundproofing need any technical skill which can be costly if you hired someone. (2)It is cost efficient, most sound absorbing mats are cheap and does work. (3) They! Moreover, will save you tons of time. If you are looking for the best high quality you can find them at Amazon.com relatively cheap and Incredible. Find the Best Sound Deadening Mat. Purchase the sound absorbing using the measurements from step 2. Some mats are sticky and will stick on your toilet/bathroom floor, but some doesn’t need that. Purchase a mat Adhesive if you want the mat to be stable, note this may be optional, depending on what you want. Instead of hanging the ordinary curtains, you can opt for heavy sound-absorbing curtains, these curtains will not only improve the noise levels but will also reduce echoes which normally exaggerate the noises. There are many Curtains you can opt for with different styles and designs however the ones I recommend are the Nicetown Full Shading Curtains. I honestly recommend that you Soundproof a wall After Sound deadening both the bathroom door and the floor because sometimes you may find that only focusing on these two will make a huge difference in a way you don’t see the need to soundproof a wall. If your bathroom or toilet is still loud, Then you can try sound deadening a bathroom wall (click here for a full guide). Does your toilet irritate you when you open and close your seat with the noise it makes? Don’t worry you can get rid of this unwanted noise really fast and easy. Follow these simple steps, and you can soundproof your toilet bowl in less than 5 minutes literally. You will only need sticky shoe pads which you can purchase on amazon.com they not expensive at all and they will do the job. I would say you need only about 2-4 sticky shoe pads. Place one or two sticky shoe pads on the front of the tank cover where it makes a connection with the with the lid. Place one or two sticky shoe pads at the base of the toilet seat lid. This should enough, To get rid of the noise your toilet bowl makes when you open and close a toilet cover. I am going to embed a Youtube video at the end of this page showing you, how to correctly do it that, Because of We Friends Right? Now, if you are looking for a quicker solution, then getting a white noise machine would be ideal, playing white sounds will mask all the bathroom noises and you will get to enjoy soft soothing sounds. 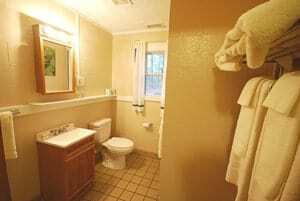 The average cost to insulate the bathroom for noise is $200 to$7000 range. The cost of bathroom sound insulating material you may spend about $150 to $ 400, then $20 to $50 for additional tools required, An optional cost of about $150 to $300 to hire a professional soundproof expert(completely optional). Please do note that the values may vary depending on what you want, some people generally believe in buying expensive products, and some prefer cheaper methods. This should serve you as a guideline of how much you should expect to soundproof a bathroom. According to Remodelingexpense.com, The average sound insulating cost per square is $1.73 for necessary soundproofing, $2.40 for better sound deadening and $3.13 for the best sound insulation per square feet. Keep in mind that this may not be that accurate because these are the average expenses. Depending on the quality and where you buy your material costs may vary. This is really a difficult question to answer because there are many ways to go about soundproofing your door and costs differ. If I were to give you a range to do it properly I would merely say $80 to $ 5000. Sound insulating a wall can cost along the range of $90 to $ 300 that depends on the size and area to cover. (click here) to get the full guide. As far as hiring a soundproofing expert it can really be a good thing, in fact, their advantages such as saving time and getting someone who is more experienced to do it properly. I am sure you know that I don’t really believe in hiring someone unless of cause you can afford it, don’t have the time or you simply can’t really do it yourself. You can search on google to find the nearest sound insulating expert based on the experience it should roughly cost you $150 to $350 to insulate the bathroom for noise. Use sound-absorbing materials: This is one of the easiest things you can do to drastically reduce the noise in your bathroom. you can rearrange the way the bathroom items are situated, use thick towels and alternatively you can use acoustic foam but that is not good looking. Make sure every Gap and Crack is sealed: even the thinnest cracks can result in a loud noisy bathroom so I recommend you look for the gaps and seal them. Noisy bathroom pipes: If the pipes are making the loudest noise, you can stop the rattling by making use of the noise-proof foam pipe wrap. I hope you find this information helpful and don’t be afraid to check other guides, tips and Sound best reviews on soundproofing. As promised I have attached a video that will help you soundproof a toilet bowl.